Apple parked downtown. Found on Penn Avenue at 13th Street, around the corner from the Heinz History Center. 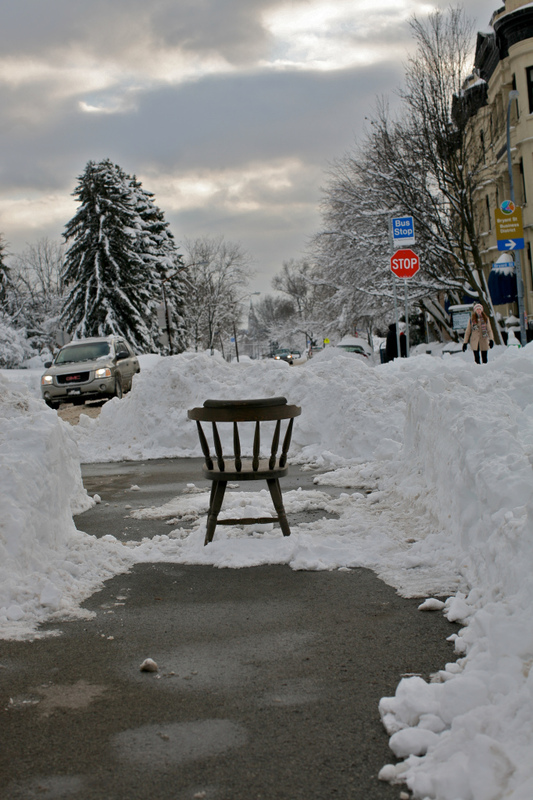 Street Parking Space Savers- revisiting Snowmageddon 2010. Many people are experiencing more snow right now. So is it a Pittsburgh thing? You see all kinds of chairs reserving parking spaces all around the city after someone has shoveled out their space, planning to return to it, later. I’ve seen a port-a-crib to reserve a parking space! On the way home from school this late afternoon, crossed the Bloomfield Bridge, down Howley Street past the Shur Save and turned to the right instead left. Too much traffic by the new Children’s Hospital. On Pearl Street the car ahead of me was stopped. 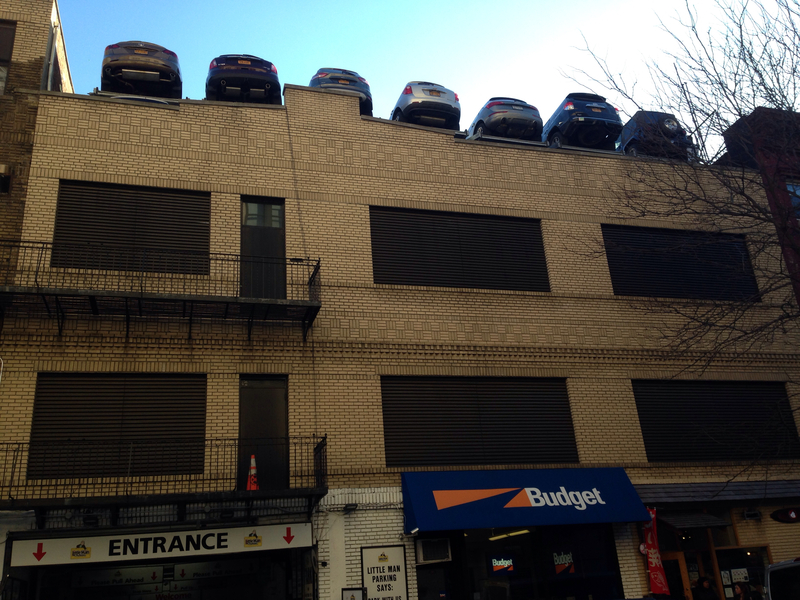 It took a long time for the parallel parker to get into the space. 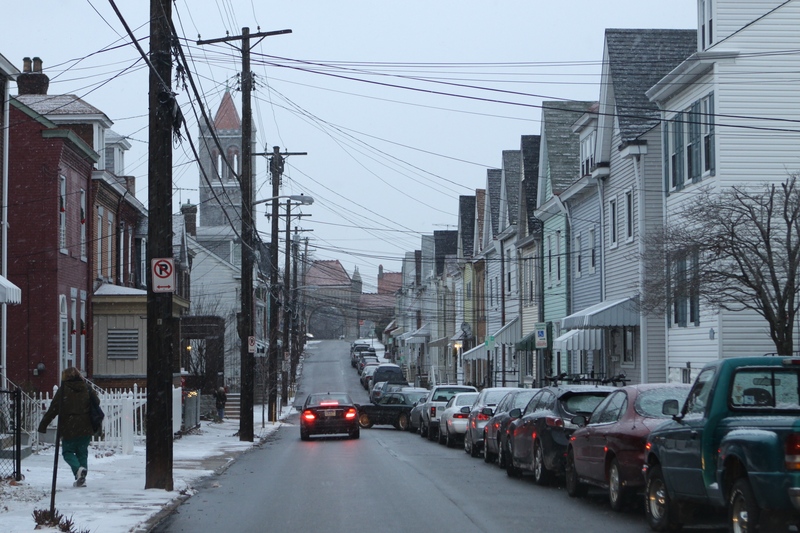 Thought the row of houses on the right had some good repetition and rhythm.